Exit 32 of Interstate 90 has its own rock climbing guide! 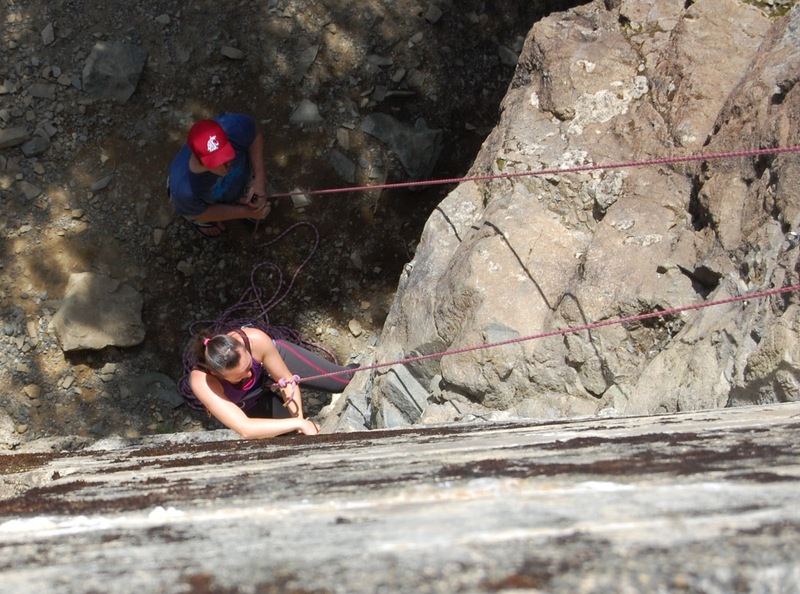 The climbing is close to Seattle, and is quite crowded on summer weekends. 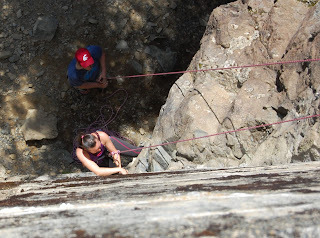 This is a climb up the seam of where western end of the rail bridge is cemented into the rock face.